Lama tak nebas. Baru start balik golop. Score hari tu 98 ....... hampeh! 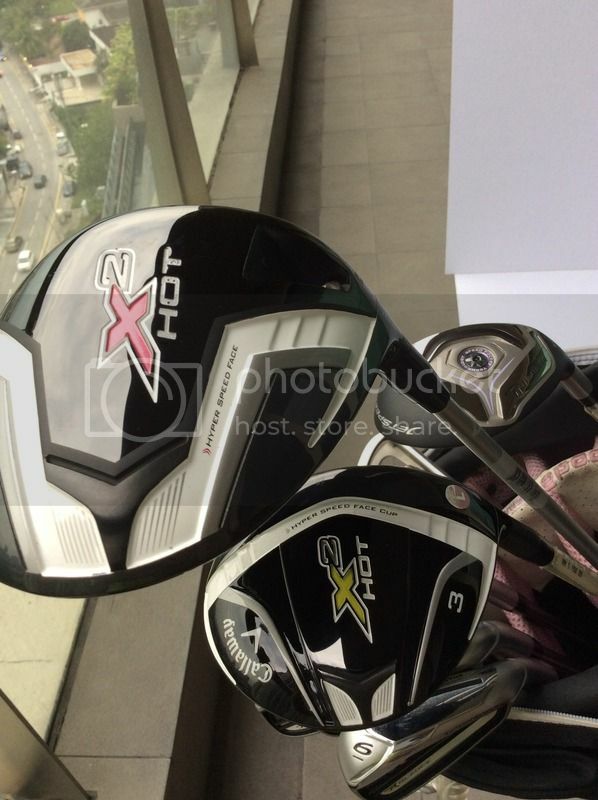 1) Driver - Callaway X2 Hot, loft 10.5, L-flex shaft - RM700 - never used on greens. Practiced only once at the range. 2) Wood 3 - Taylormade Callaway X2 Hot, loft 15.0, shaft length 41.5" L-flex, - RM500 - never used on greens. Practiced only once at the range. 3) Irons - - Taylormade Rocket Bladez ladies (5-9,S,P) - RM1800 - never used on greens. Practiced only once at the range. (I bought items 1) to 3) above in Sept 2014 as an upgrade from my previous older set. However, due to change in lifestyle, I have not been playing golf over the last 3 years, so these clubs were practically as good as new. Condition 9.9/10. 4) Putter - Taylormade Rossa Monza Corza, shaft 34 inch - RM350. Has been my all time favourite putter on the greens. 5) Standing Ogio Featherlite bag - RM400. Negotiable. Items are available for viewing in KL. PM me if interested.